Torenko and Associates is one of the top semiconductor and SMT equipment manufacturers' representatives in the United States. We partner with premier electronic SMT production equipment, test, repair, inspection (including industrial x-ray systems), semiconductor conformal coating systems, conductive adhesives, solders, fluxes, nanotechnology and LED manufacturing products. We also work with many unique production machine suppliers. Below are highlights of just a few of the interesting and useful products we offer. From time to time, we'll show you some others as well - so keep checking out our website! IBL is a German company with very unique approaches to both in-line and batch vapor phase reflow soldering technology. For recent sales news, please read the recent Lockheed Martin-IBL joint press release. Also, check out one of their recent technical papers. The CSS4050 is an excellent product in order to properly store and retrieve component reels during production. For additional information, click here for a product brochure. Also, be sure to watch the brief operations video below! 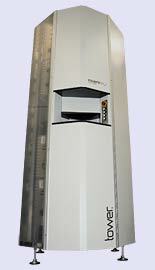 Here is a video of Nordson- Asymtek's precision jet coating system. It's FAST, and ideal for small component partial coating, or large area coating. They have many other systems for various coating applications as well. 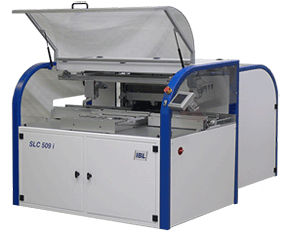 Click here for a brochure of the model SC-400 Precision Jet Coater.